Made it back from Vacation the other night. Just love it there. It’s a strange little island that’s been attracting treasure hunters, pirates, Cuban exiles, musicians, artists, writers and even presidents for over 150 years. 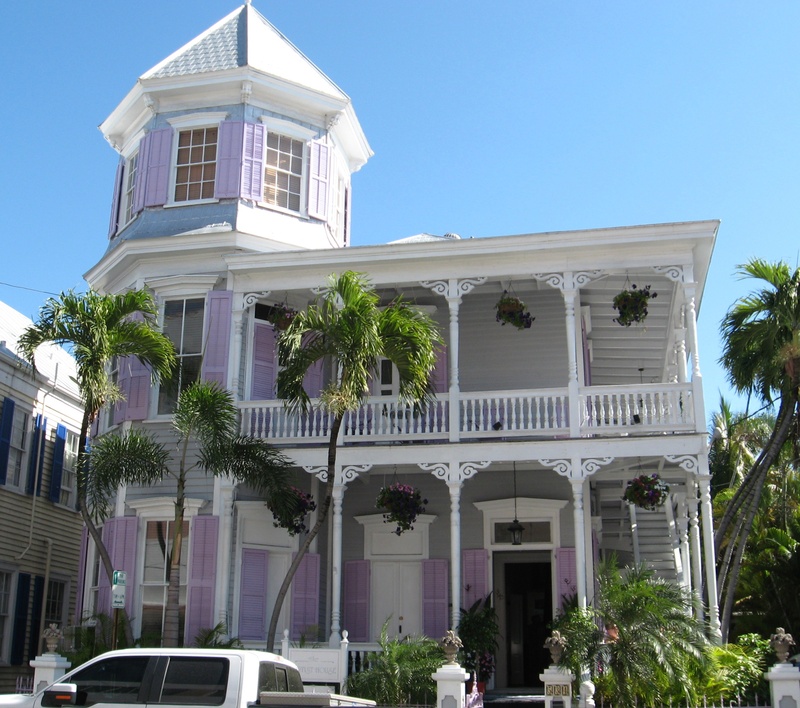 A walk down Duval street is a feast for the eyes. We never know who, or what, we’ll see. 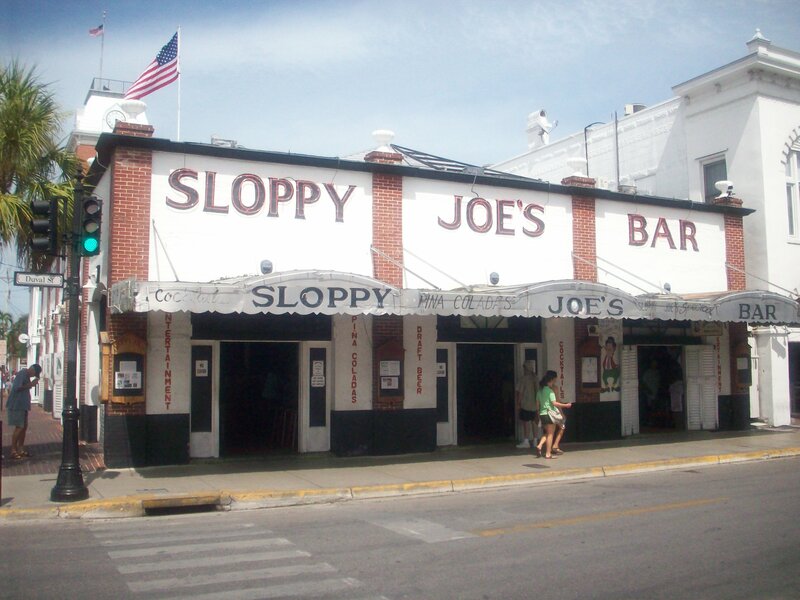 One of the most famous bars on the island is Sloppy Joe’s. It’s actually on the National Registry of Historic Places. We always make a stop there. 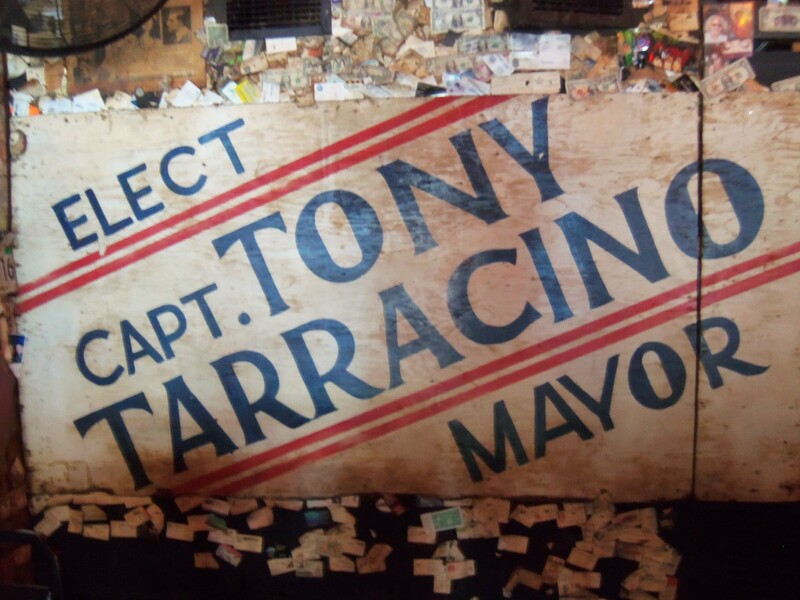 Captain Tony Tarracino took over the location, with his bar Captain Tony’s, in 1961. Tony dropped out of school in 9th grade to sell whiskey during Prohibition. Before becoming a bar-keep, he was a shrimper, a charter boat captain, and a gun runner. 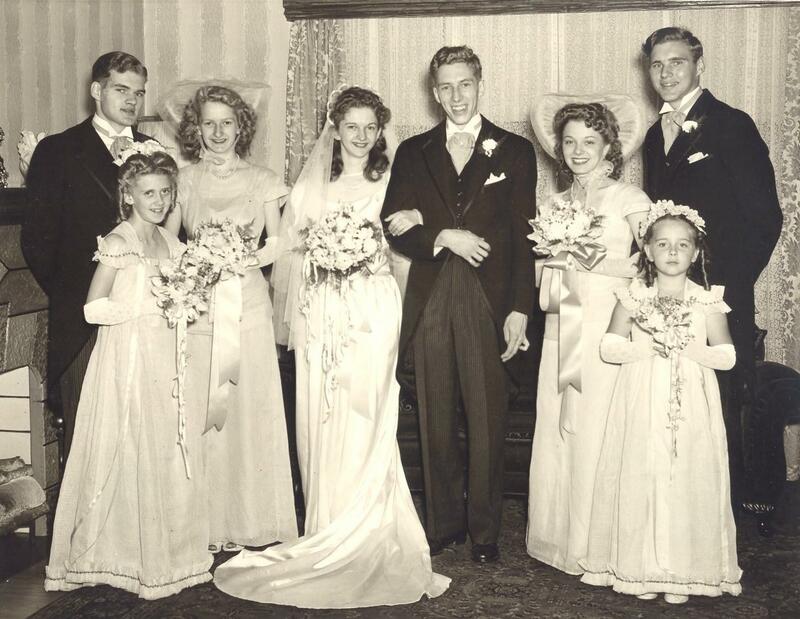 He was married 4 times – outliving his first 3 wives – and fathered 13 children. 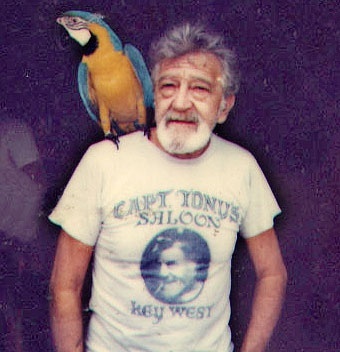 Tony ran for mayor of Key West 4 times before winning the 1988 election by only 32 votes. 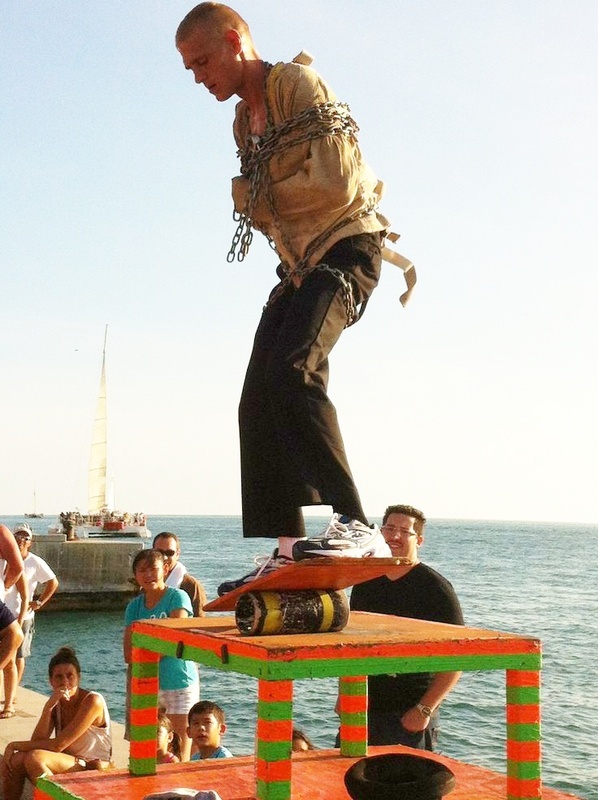 His stance was to keep Key West a refuge for eccentrics and renegades. He only lasted in office 2 years. “Best 2 years of my life”, he said. 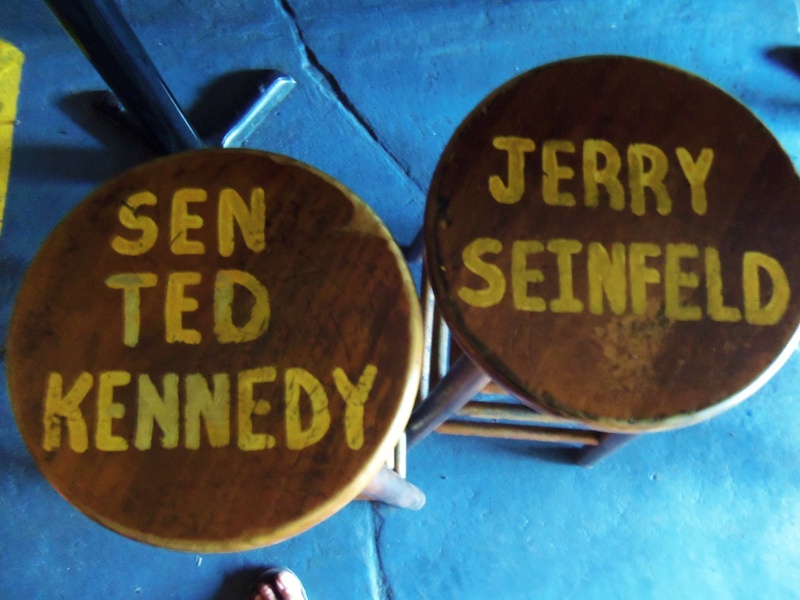 Even though Tony sold the bar in 1989, it retained his name……and he could be found drinking there every day. 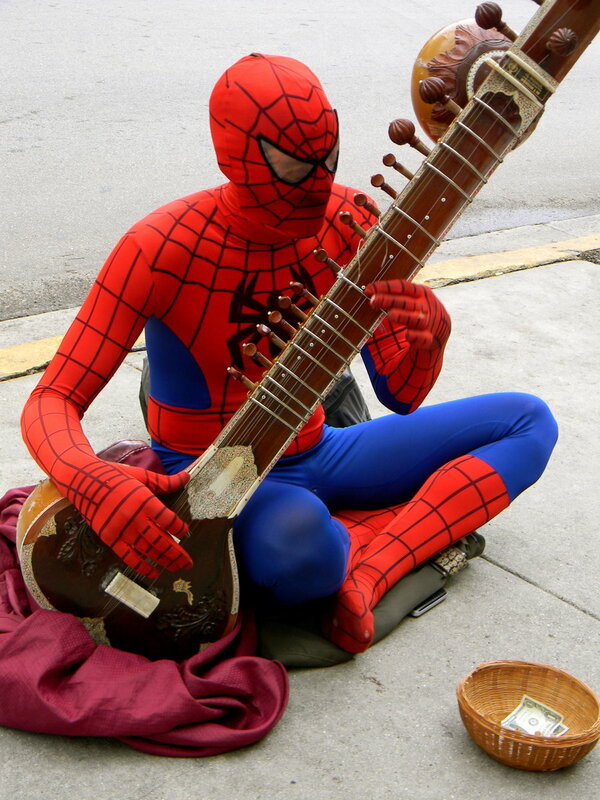 It’s got a lot of……….character. The bar is centered around the island’s “hanging tree”, 17 people are reported to have been hanged in it. 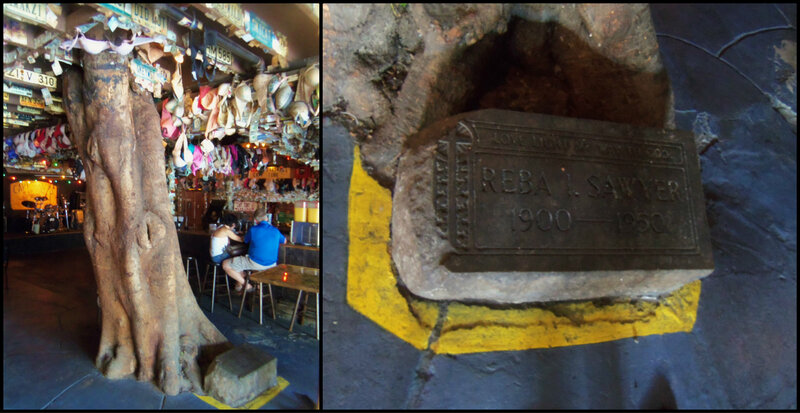 It grows straight through the roof and even has the grave marker of a Reba Sawyer under it. 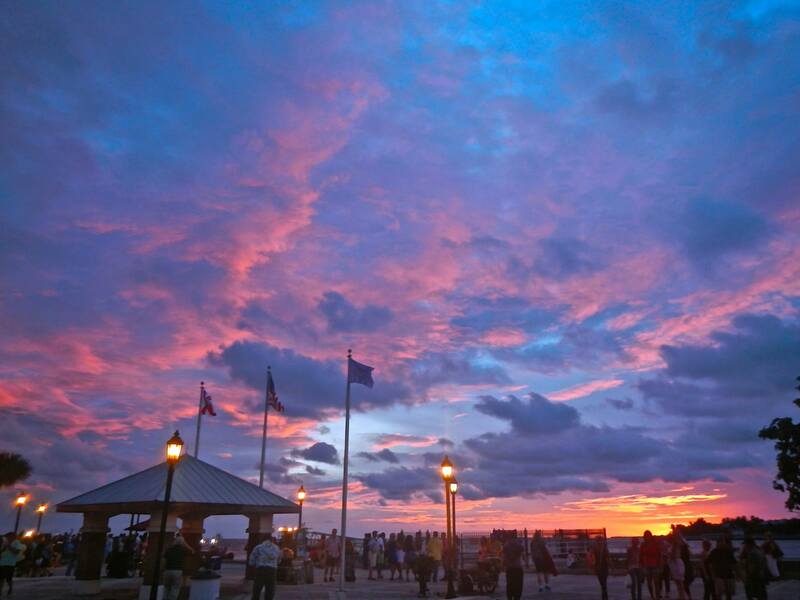 Everyone who’s ever visited Key West will agree that the Caribbean sunsets are spectacular, and the best place to watch those sunsets is from Mallory Square. Every evening, about an hour or so before sunset, the square fills with tourists eager for that spectacular view. 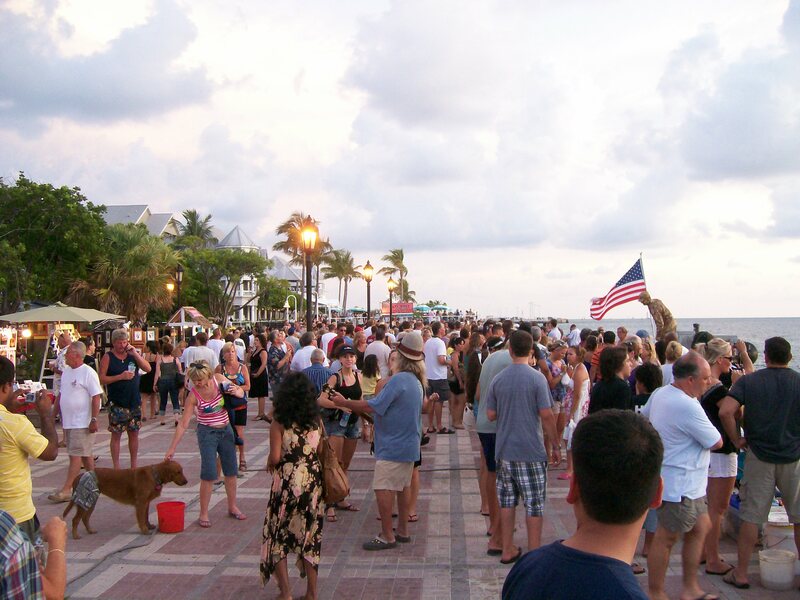 The festival began in the late 60’s as the island hippies would gather nightly on the pier to “smoke” and watch the view. 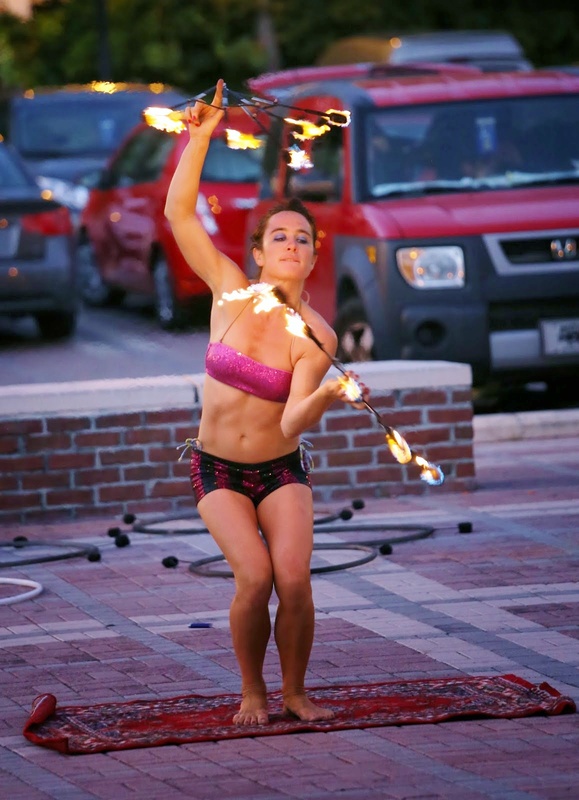 Over the years tourists began joining them and eventually local vendors set up card tables and the street performers followed quickly behind. 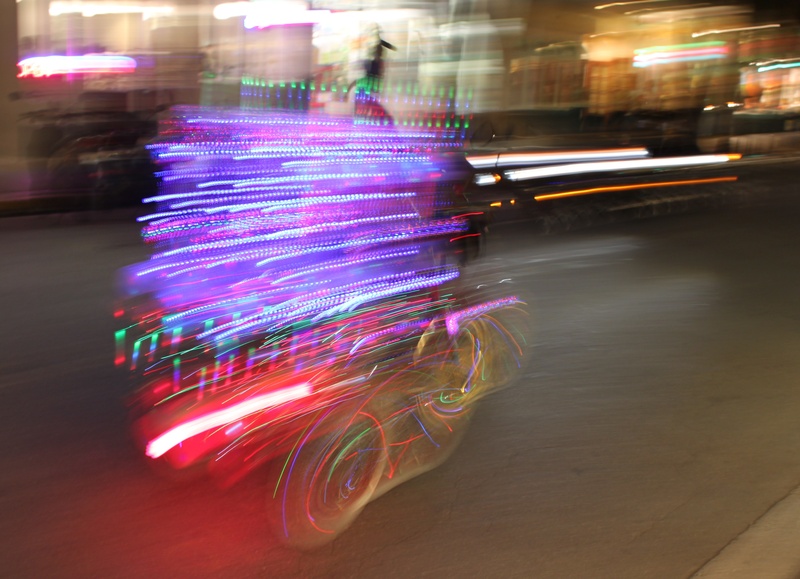 When nearby merchants began complaining, the city was forced to intervene. 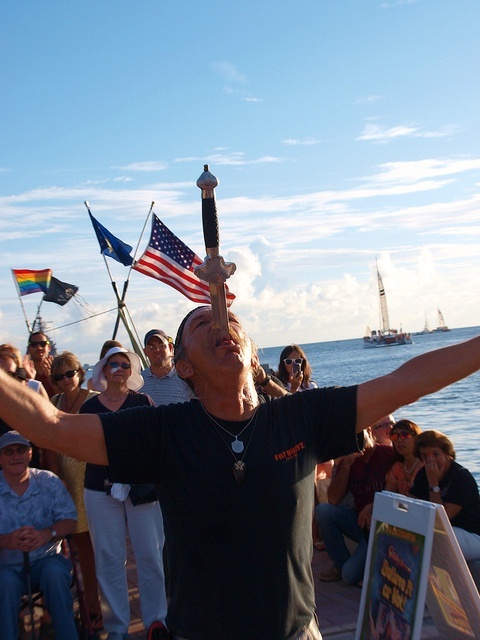 The vendors and performers, joined by Captain Tony of course, formed the Key West Cultural Preservation Society to insure that the nightly celebration would continue……and it still does. I know, most of the performers look like former/current members of the Red Hot Chili Peppers. But they certainly know how to put on a show. “And how was the sunset?” you may ask. 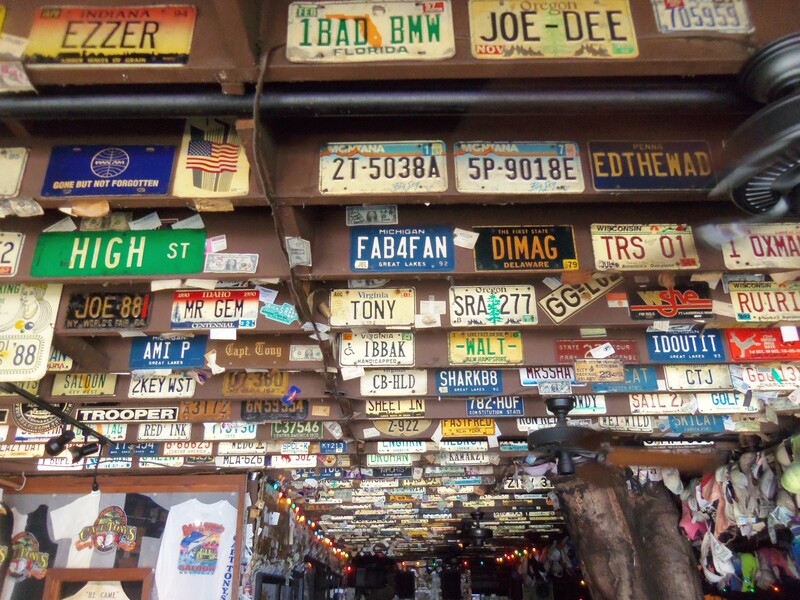 Key West has had an odd-ball cast of famous residents over the years – Jimmy Buffet, Hunter S Thompson, Truman Capote, Earnest Hemingway, Calvin Klein, Judy Blume, David Allen Coe, Mel Fisher, Robert Frost, Harry Truman, Kenny Chesney, Tennessee Williams, Shel Silverstein……. …….but certainly none more memorable, or creepy, than Robert the Doll. Gene carried the doll everywhere with him, well into his adulthood. When he married Anne, his new bride had no idea that Robert wouldn’t like her. But when Robert locked her in a closet for several hours, she insisted that the doll be kept in the attic in retaliation. Gene grudgingly obliged and set Robert in one of the attic’s turret windows so he could watch the street. People walking by the house would swear that he moved from window to window…..and children would claim that he waved at them. 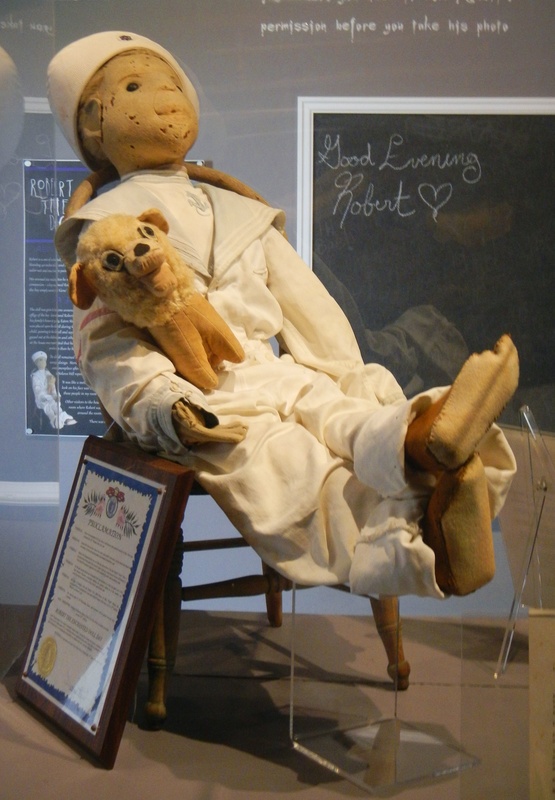 After Gene’s death in 1974, Anne sold the house on the island and Robert the doll with it. The new owners of “the Artist’s House” would hear running, rummaging, and occasionally even giggling coming from the attic where Robert was kept. The noises only stopped when he was donated to the East Martello Museum. And that’s where Robert is today, under a locked glass case (to keep him from running around the museum at night and causing mischief, I would suppose). 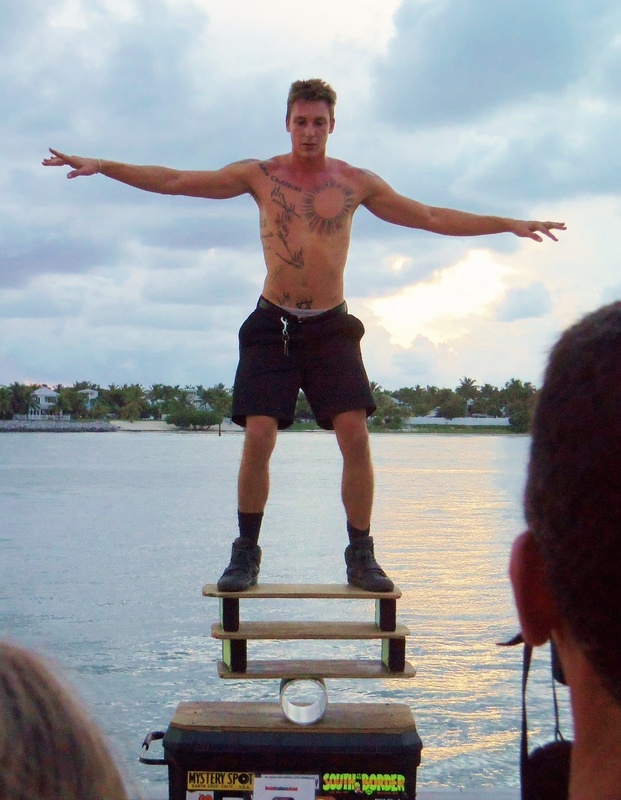 We always visit him when we’re in Key West. 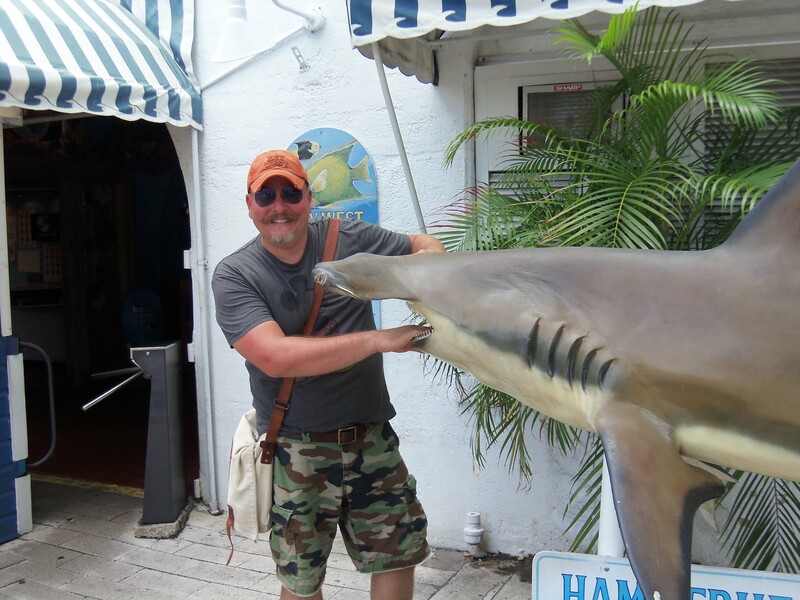 You can too, but be warned…..
Robert doesn’t like to have his picture taken without asking his permission first. Bad luck follows anyone who would dare to. The wall behind him is filled with cards and letters from unlucky tourists asking his forgiveness. Hope ya’ll enjoyed reading about our trip as much as we enjoyed going on it. Now, go to Key West. 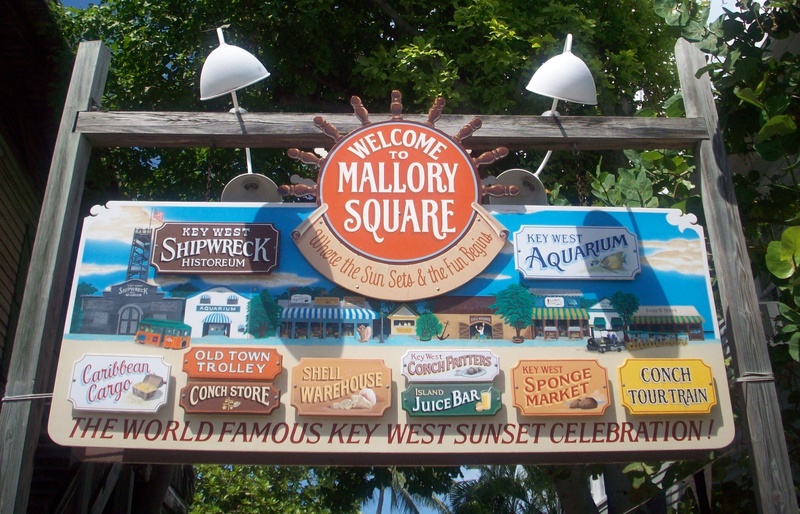 I’ve only been to Key West once, but I loved it.! 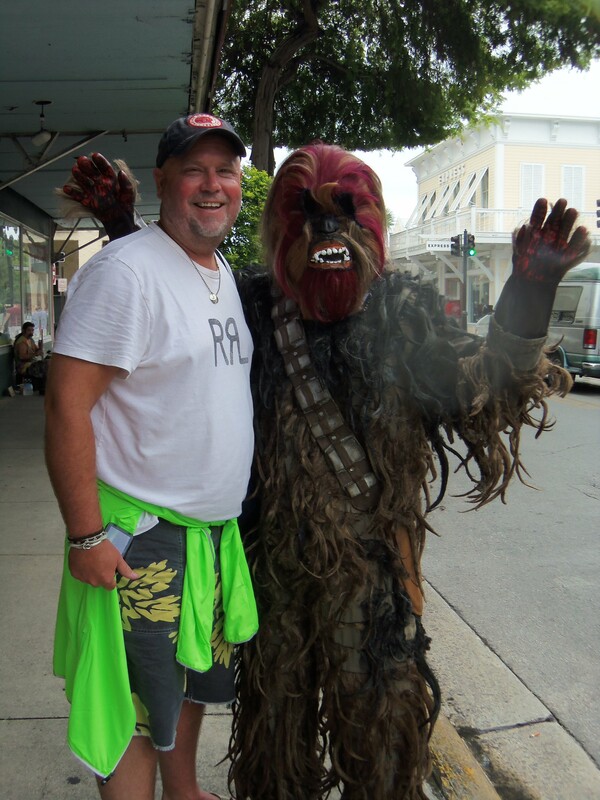 I do not like hot, tropical weather, but Key West was a joy. I visited the same week that Rosie (does she need her last name?) was on her inaugural cruise with Carnival. 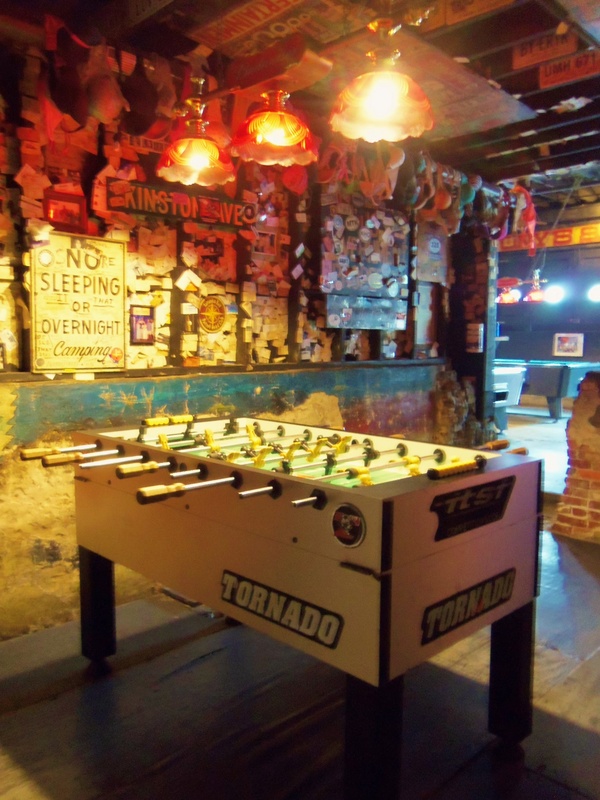 It was such a spirited, quirky place. Great times!